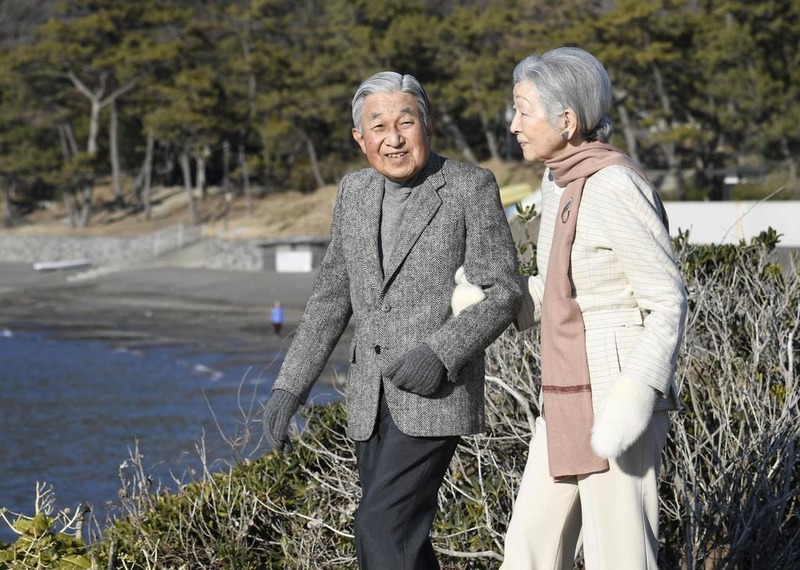 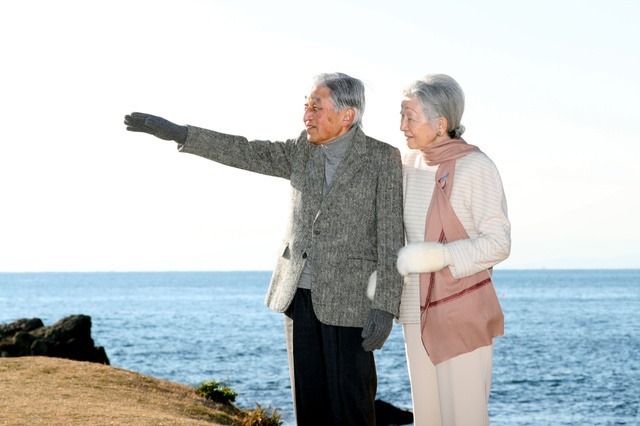 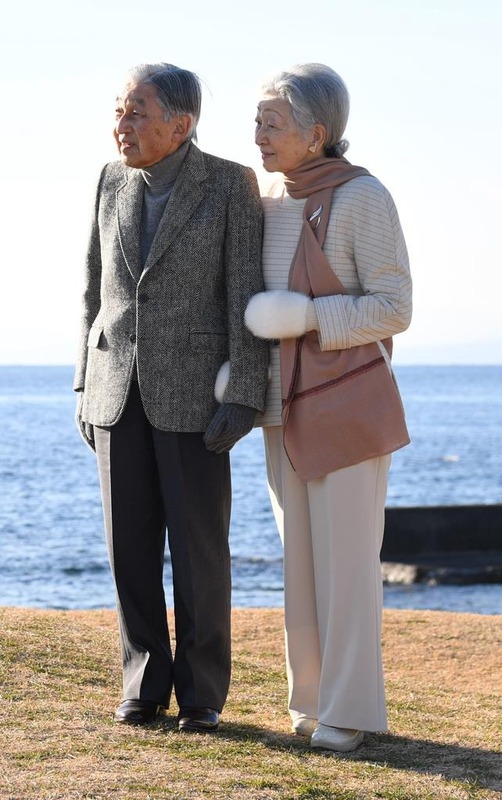 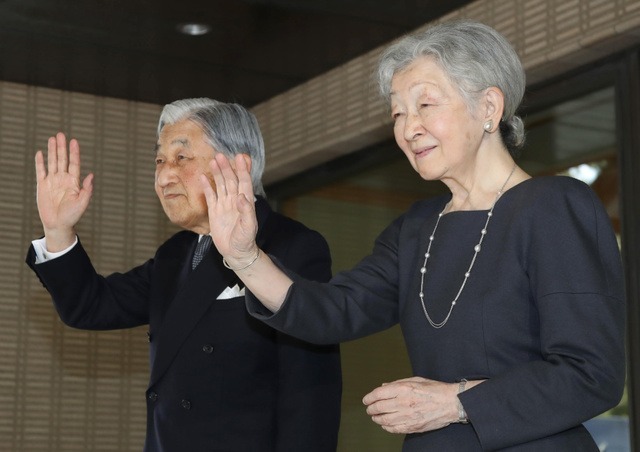 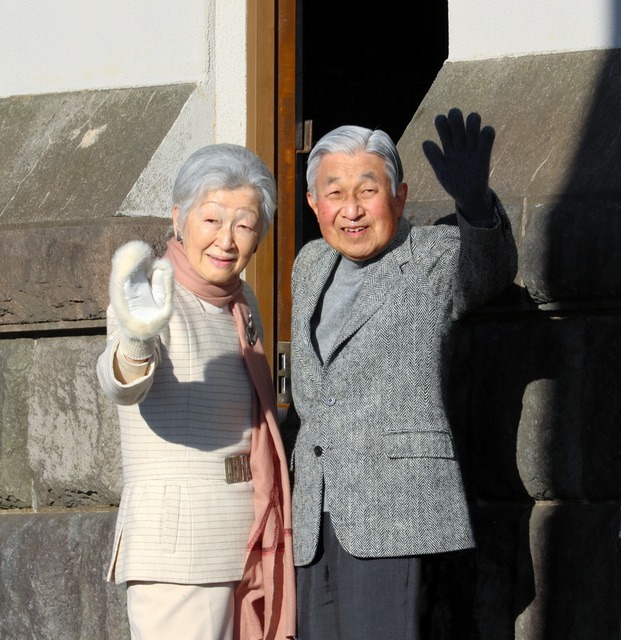 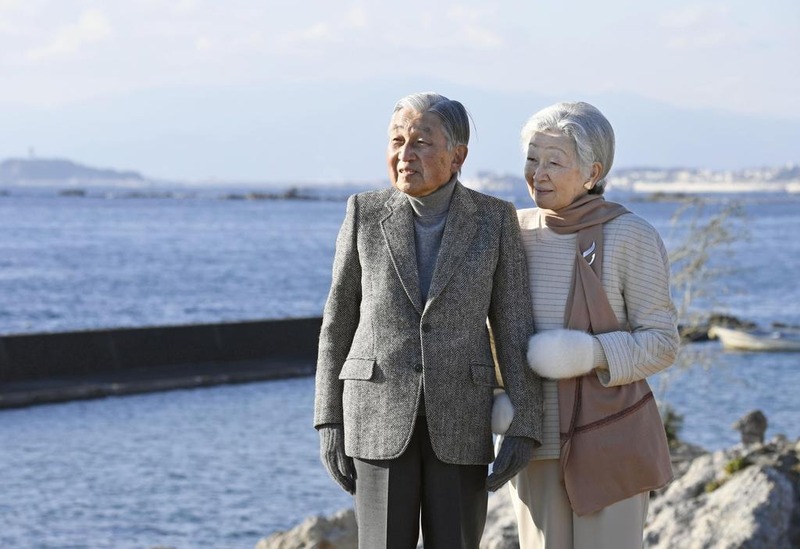 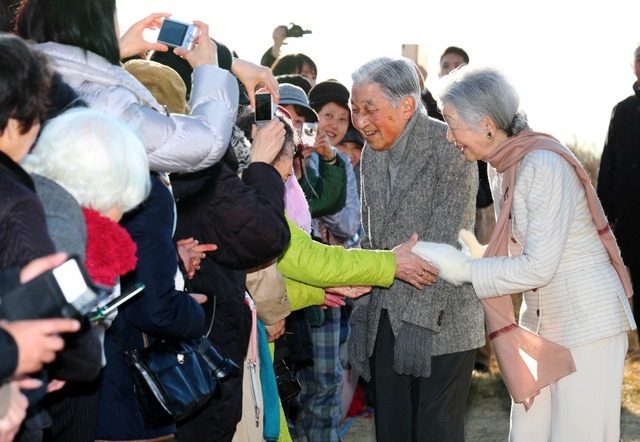 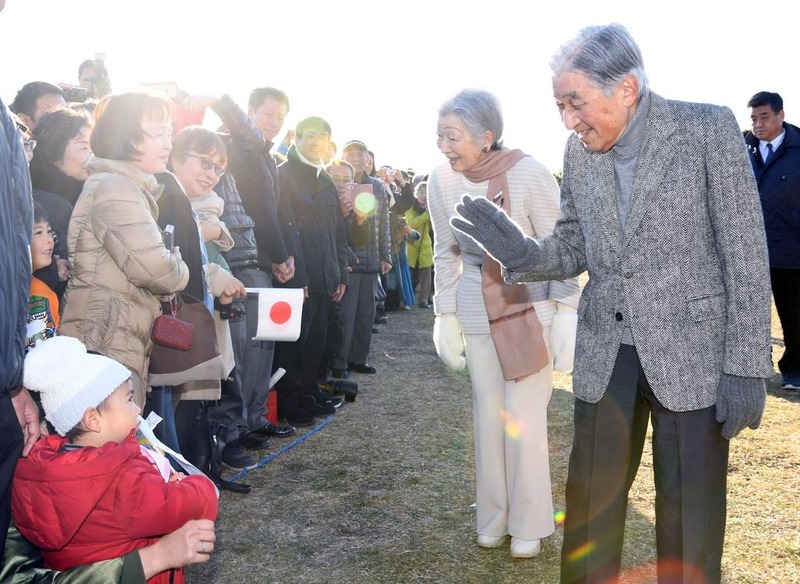 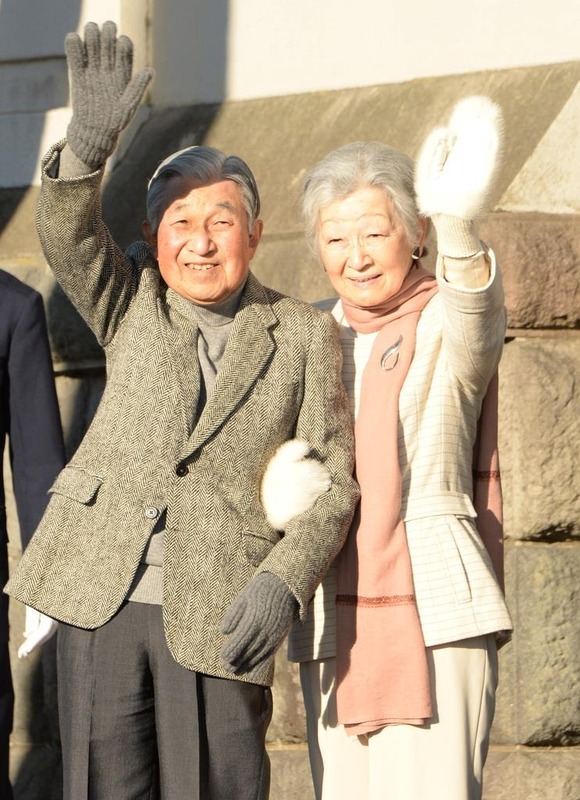 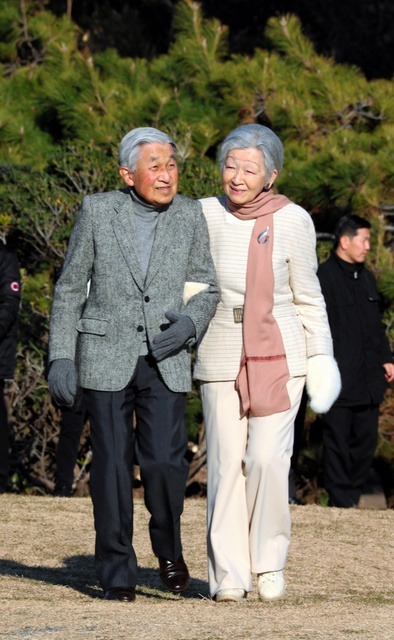 From 21st January to 25th January, HM Emperor Akihito and HM Empress Michiko visited Hayama Imperial Villa in Kanagawa Prefecture for the vacation. 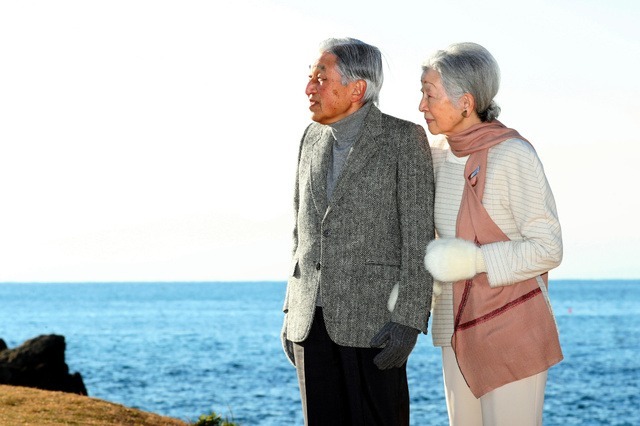 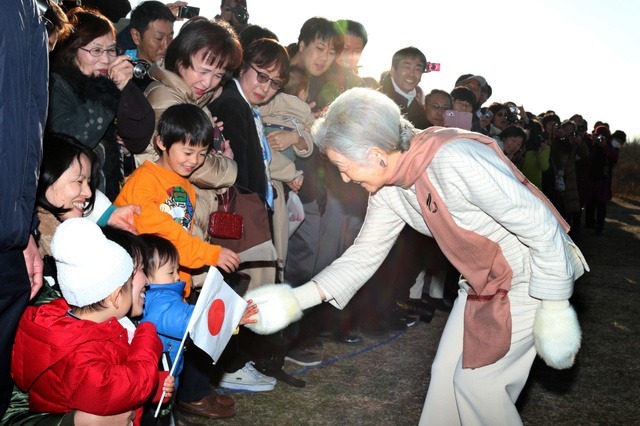 It became the last time for Their Majesties to visit Hayama as the Emperor and the Empress. 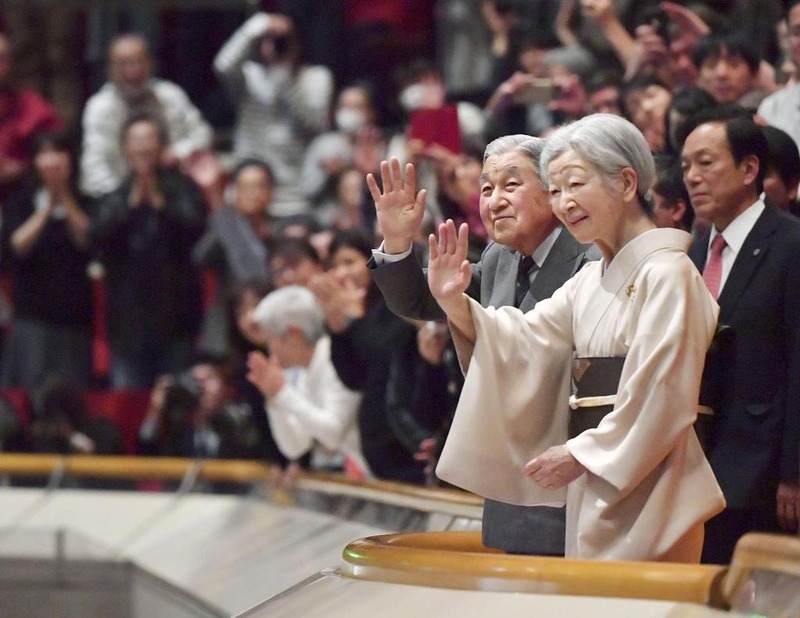 On 20th January, HM Emperor Akihito and HM Empress Michiko to see the matches of the Grand Sumo Tournament took place in Tokyo. 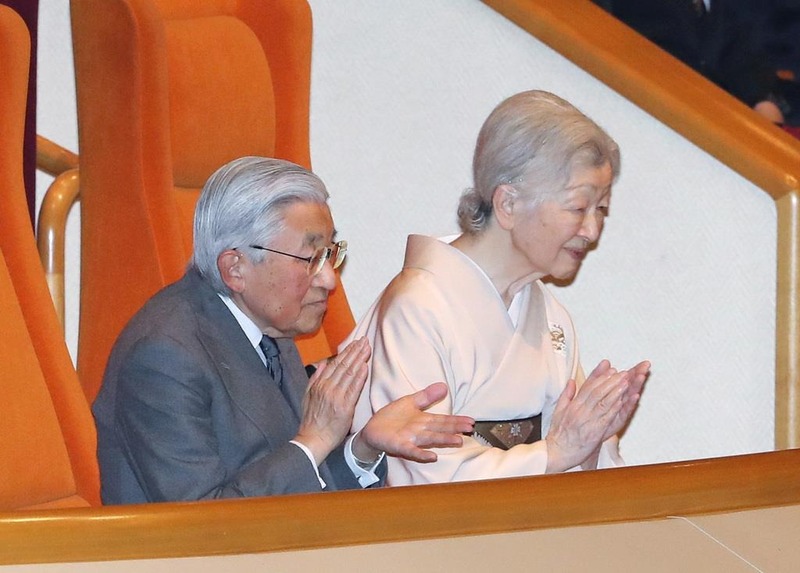 It became the last time for Their Majesties to watch Sumo matches as the Emperor and the Empress. 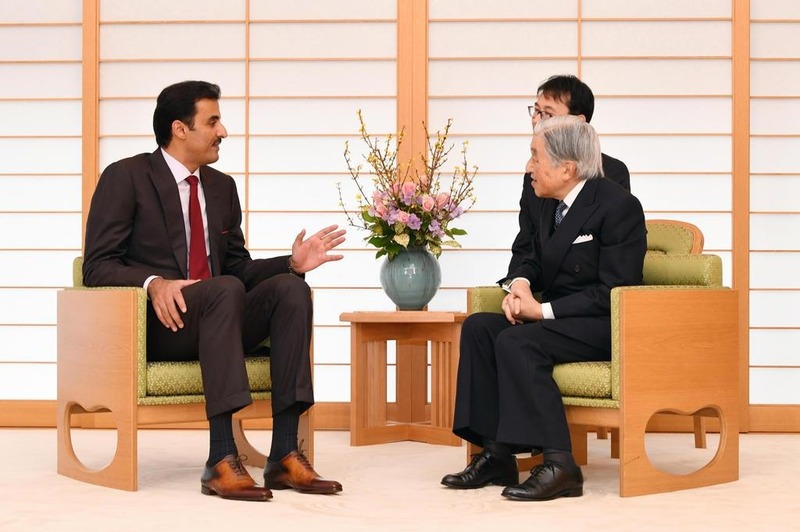 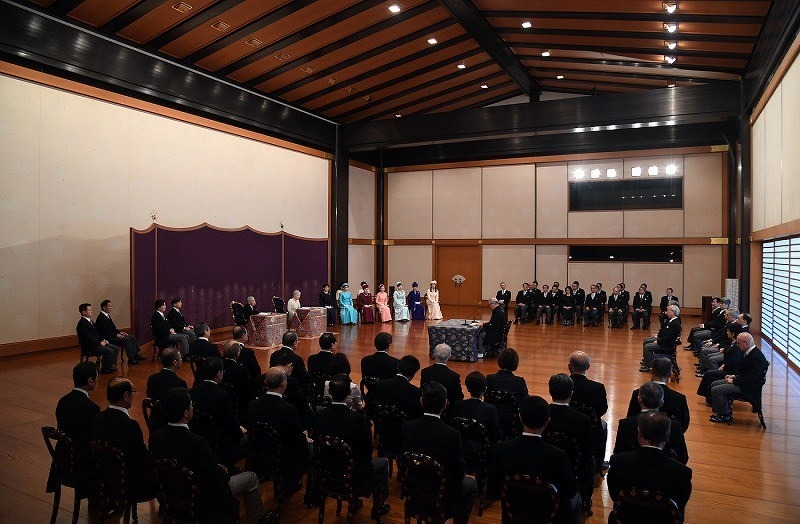 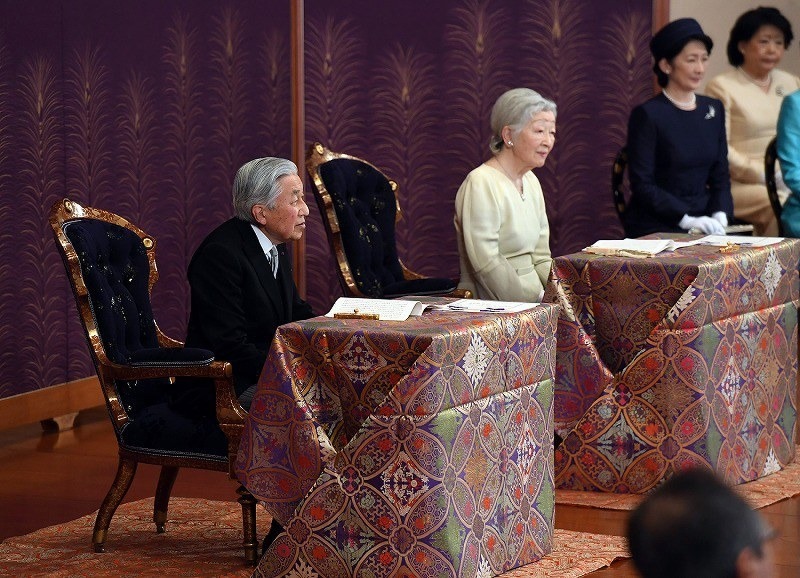 On 16th January, the members of Imperial Family attended the Ceremony of the Utakai Hajime (Imperial New Year’s Poetry Reading) took place at Imperial Palace. 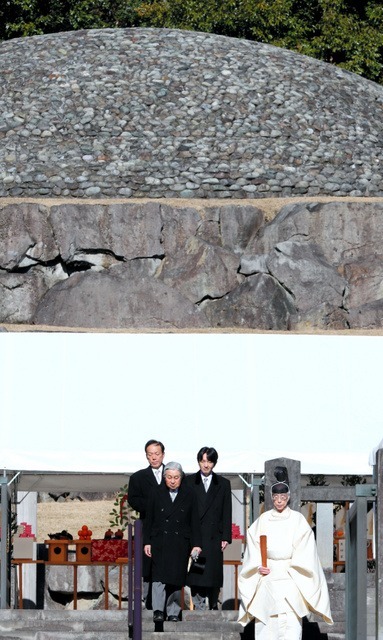 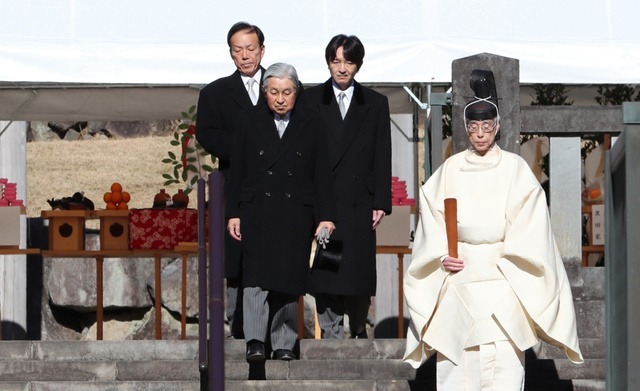 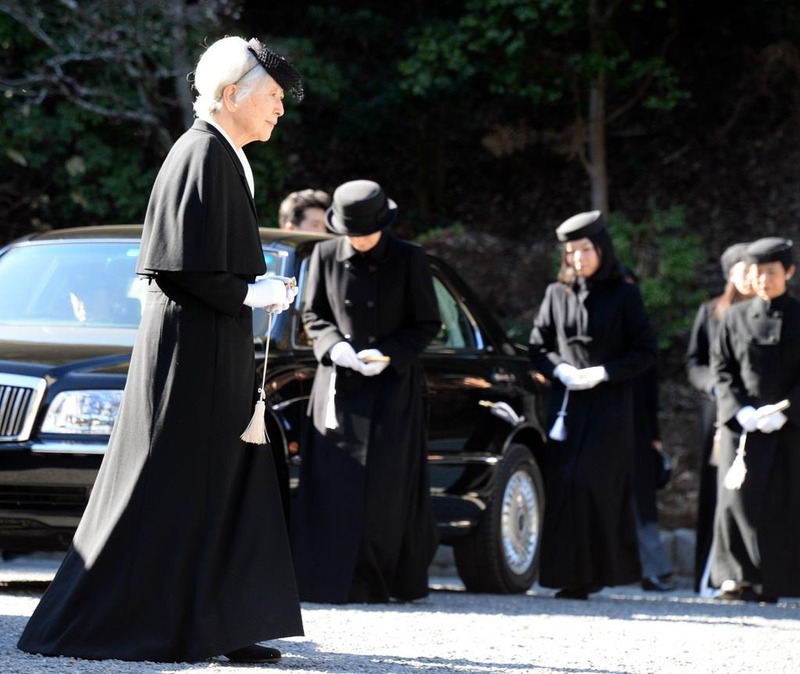 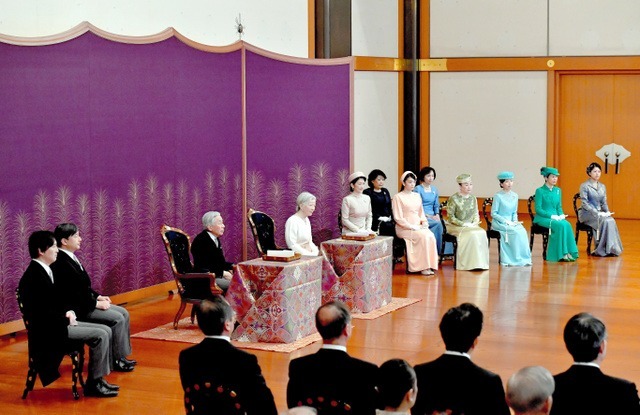 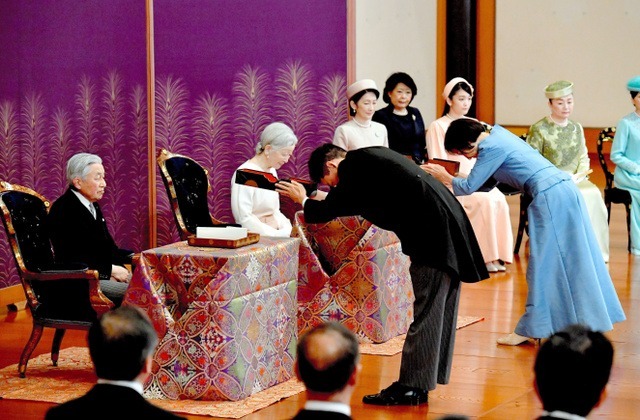 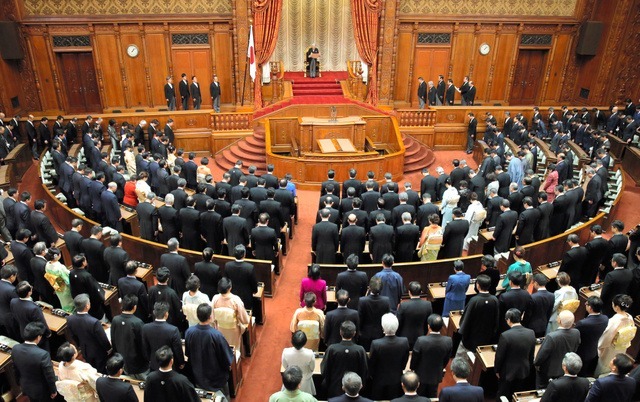 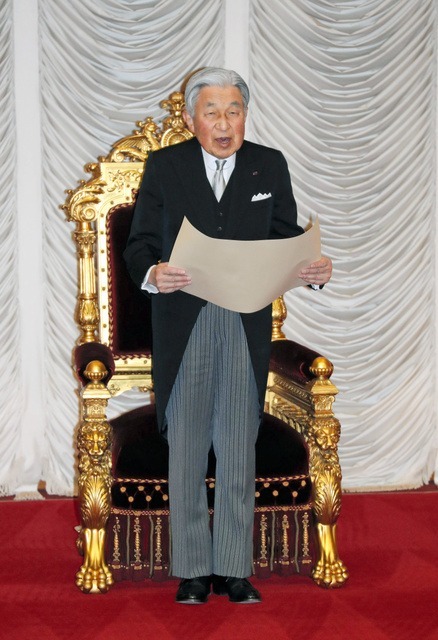 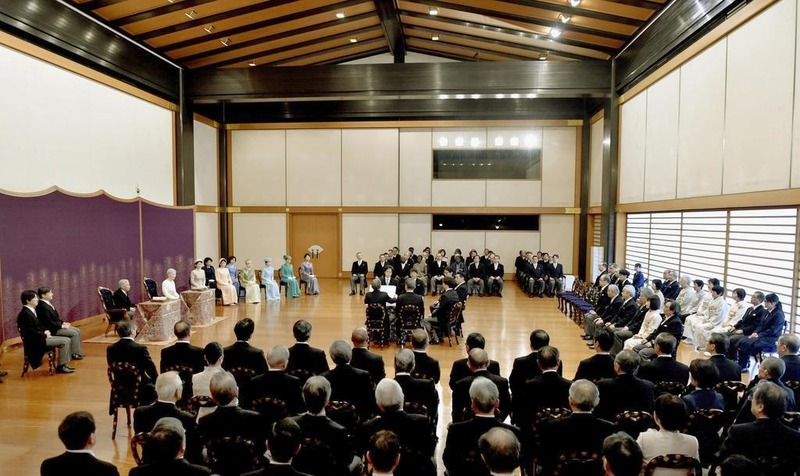 It became the last time for Their Majesties to attend the Ceremony of Utakai Hajime. 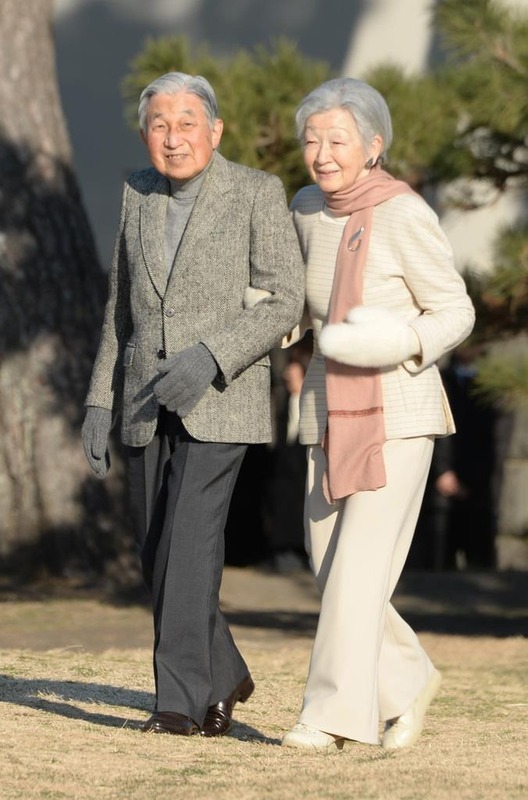 In the garden of The Crown Prince’s residence where Their Majesties the Emperor and Empress lived during Showa era, and where Their Imperial Highnesses the Crown Prince and Princess now reside, there are silver birch trees, the symbol of Her Majesty the Empress, cherished by Their Majesties the Emperor and Empress. 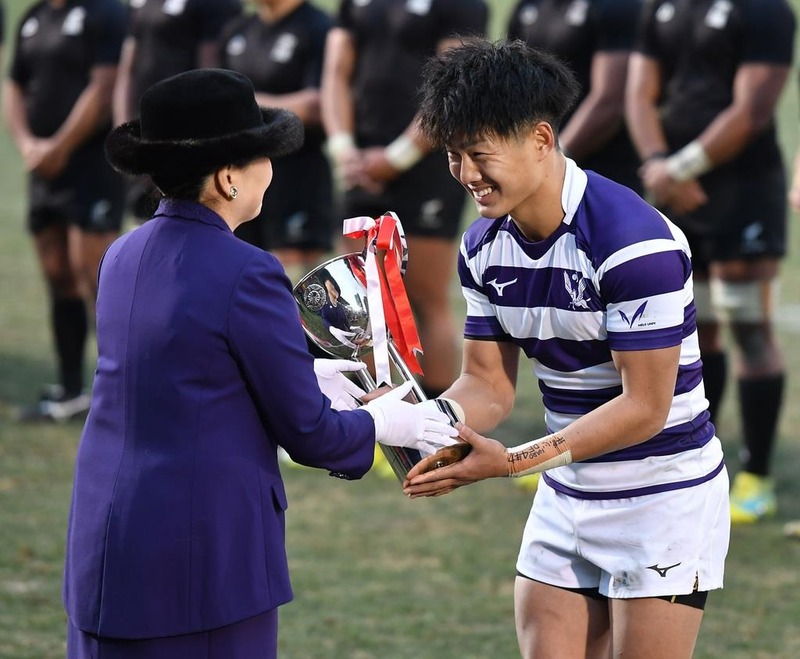 On 12th January, HIH Princess Nobuko of Mikasa attended the commendation ceremony of the 55th All Japan University Rugby Championship took place in Tokyo. 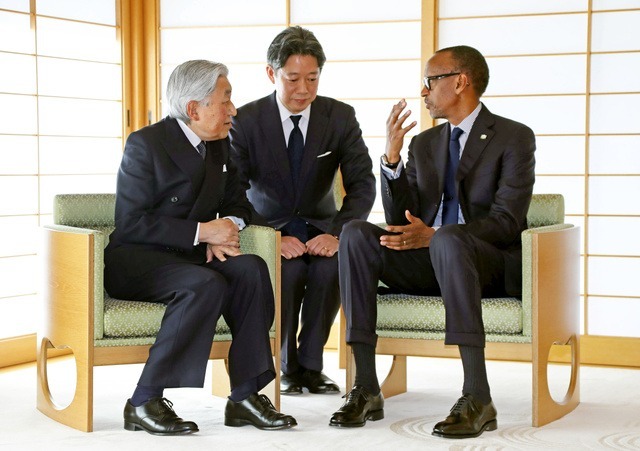 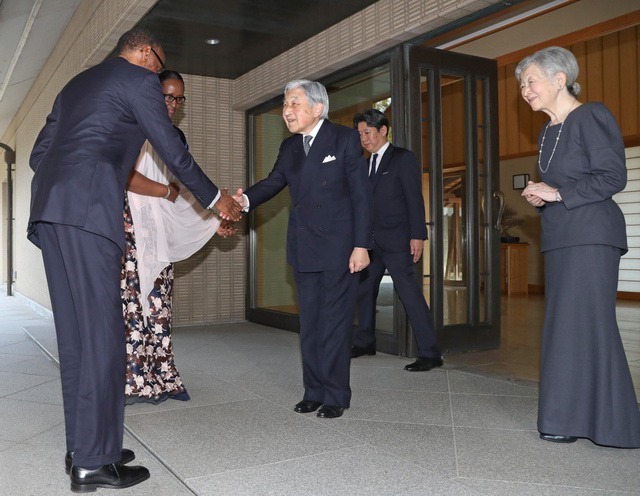 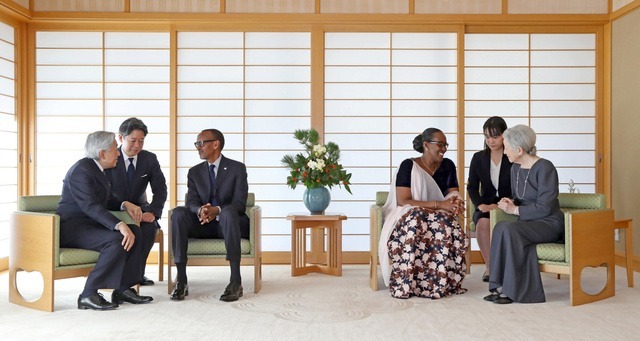 On 8th January, HM Emperor Akihito and HM Empress Michiko met with HE Mr Paul Kagame, President of the Republic of Rwanda and the First Lady at Imperial Residence. 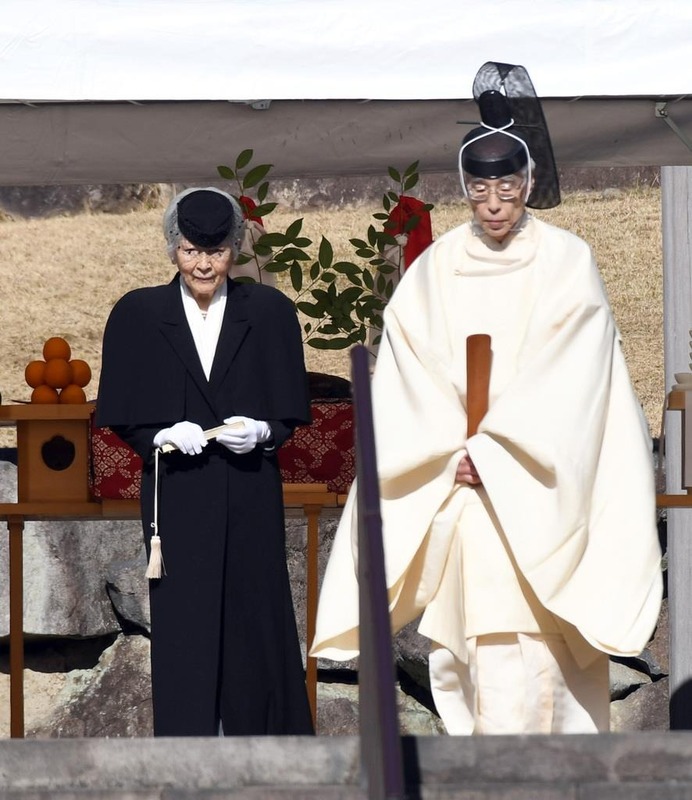 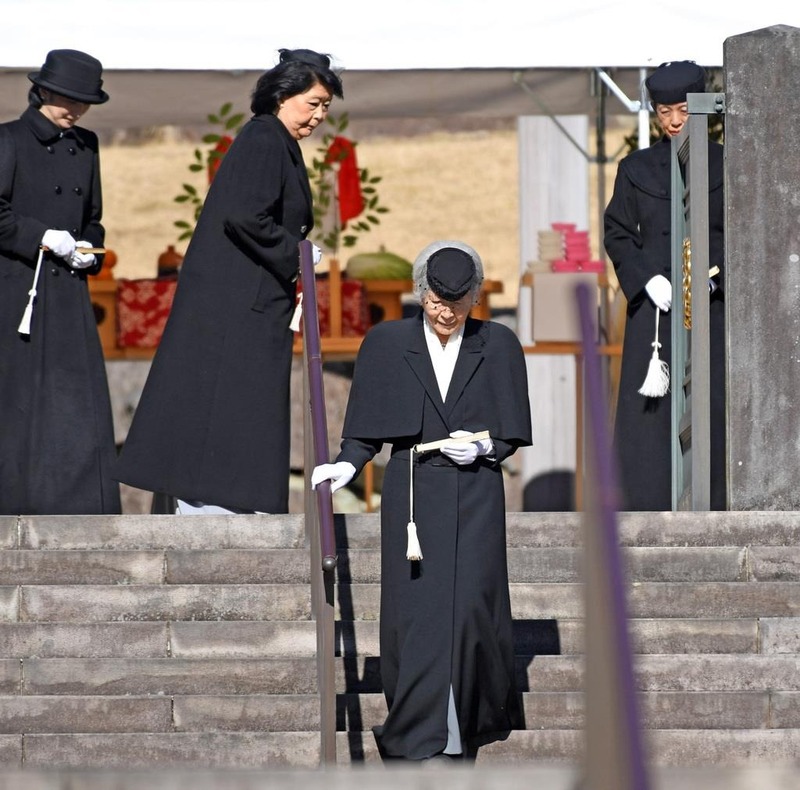 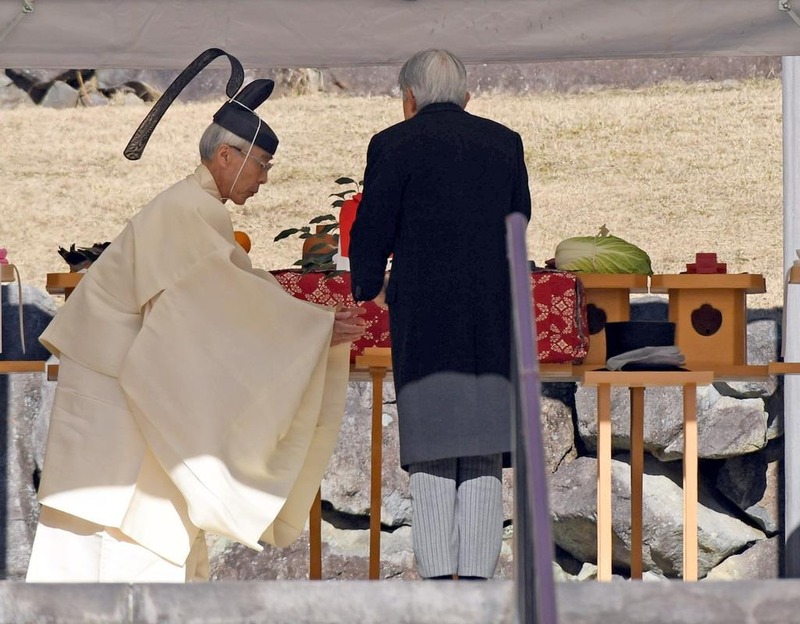 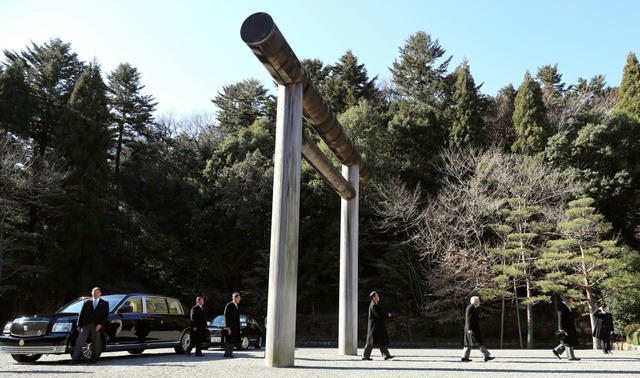 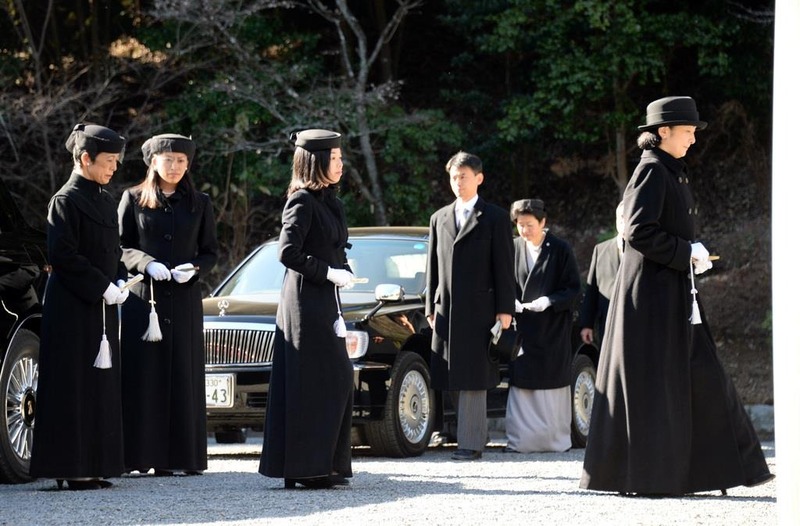 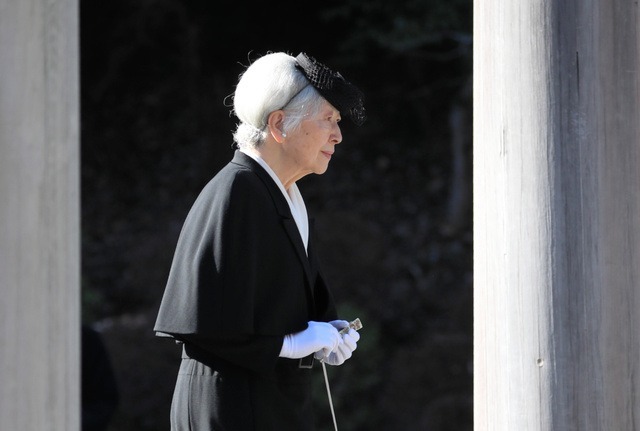 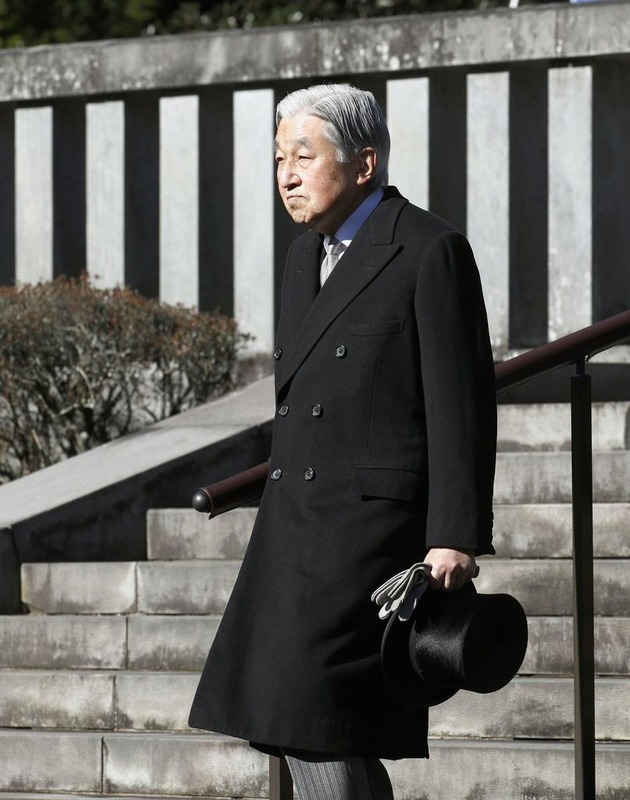 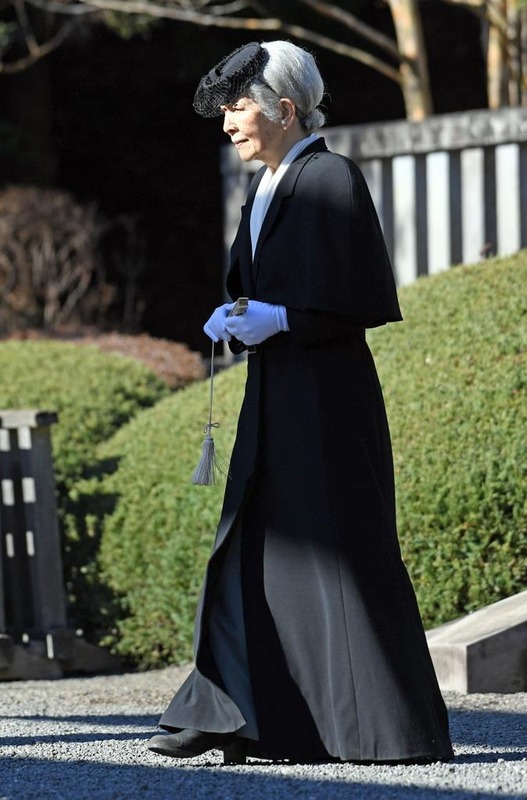 On 7th January, HM Emperor Akihito and HM Empress Michiko attended the memorial service for commemorating the 30th anniversary of the death of Emperor Showa (Emperor Hirohito) (1901-1989) took place at the Mausoleum of Emperor Showa in Tokyo. 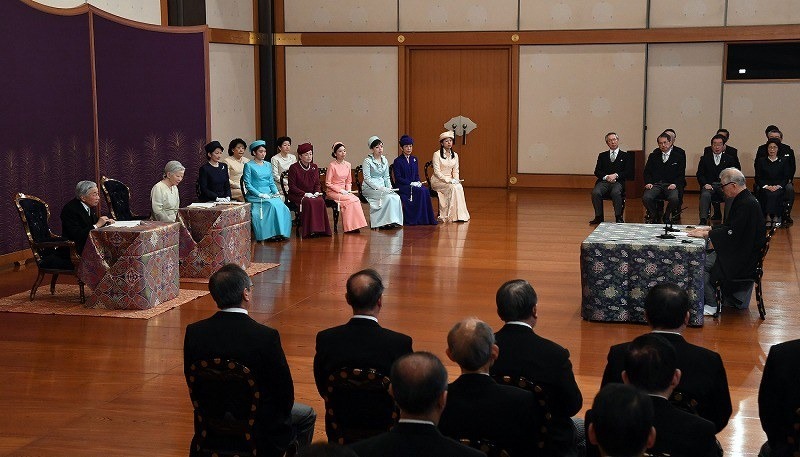 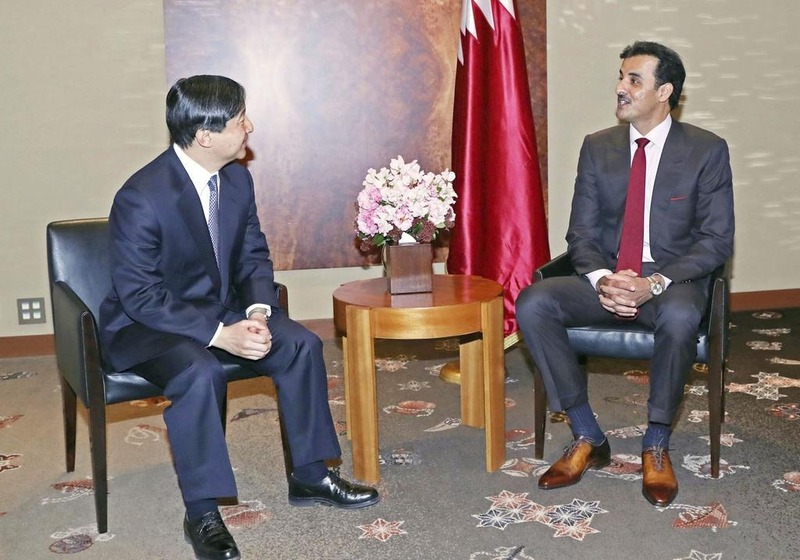 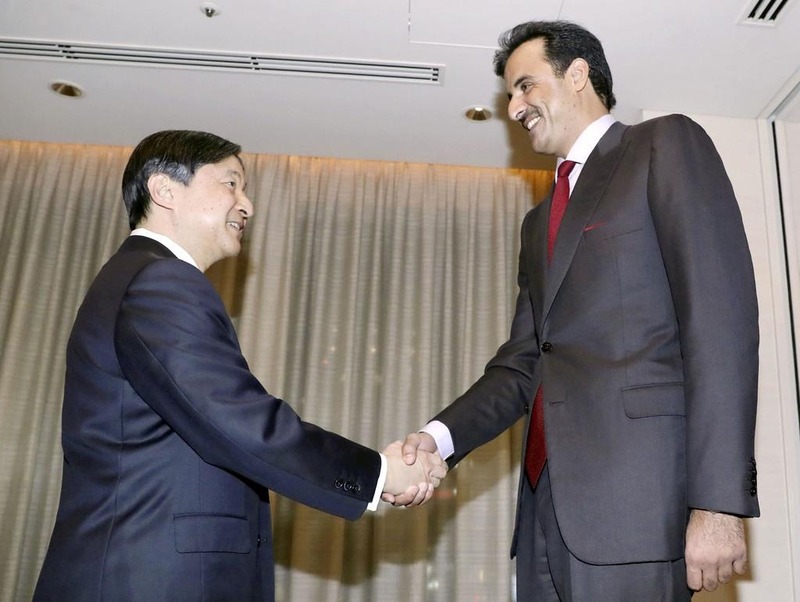 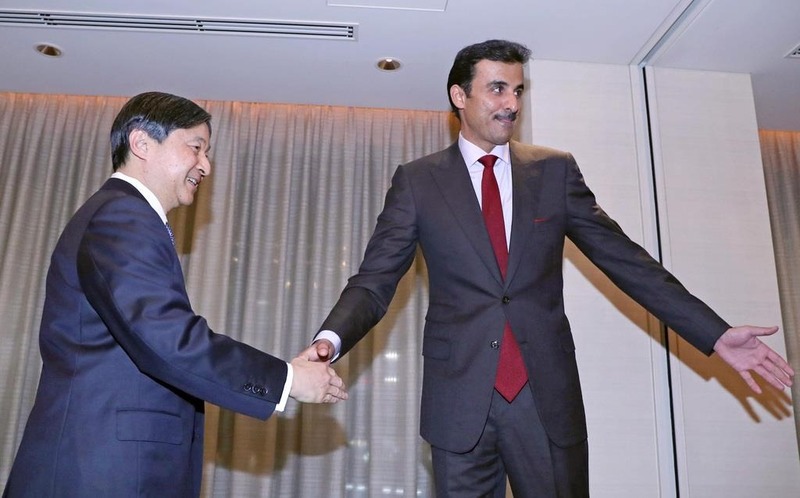 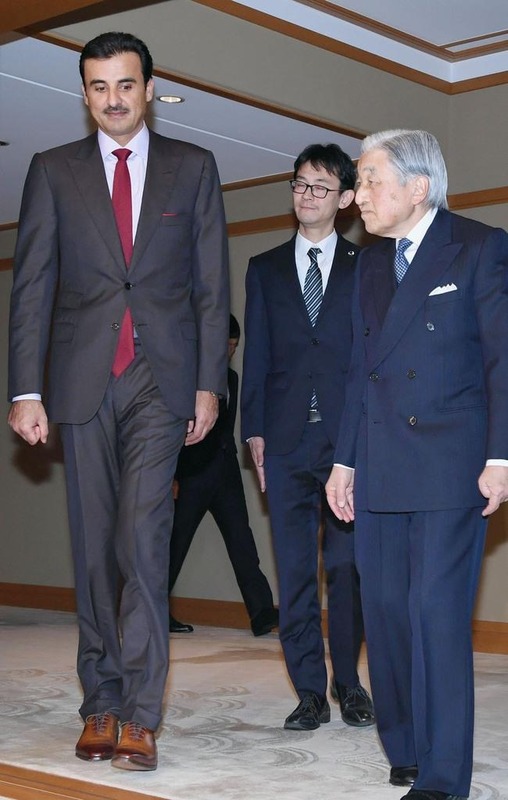 The other members of Imperial Family also attended the Ceremony. 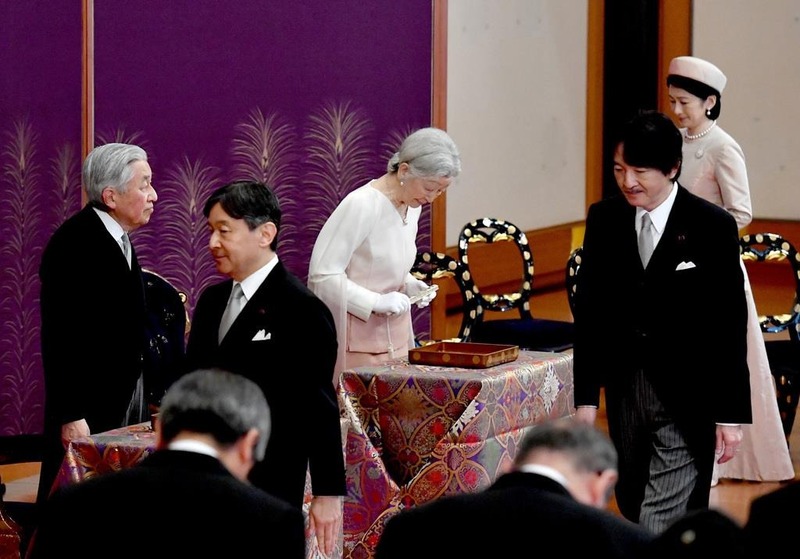 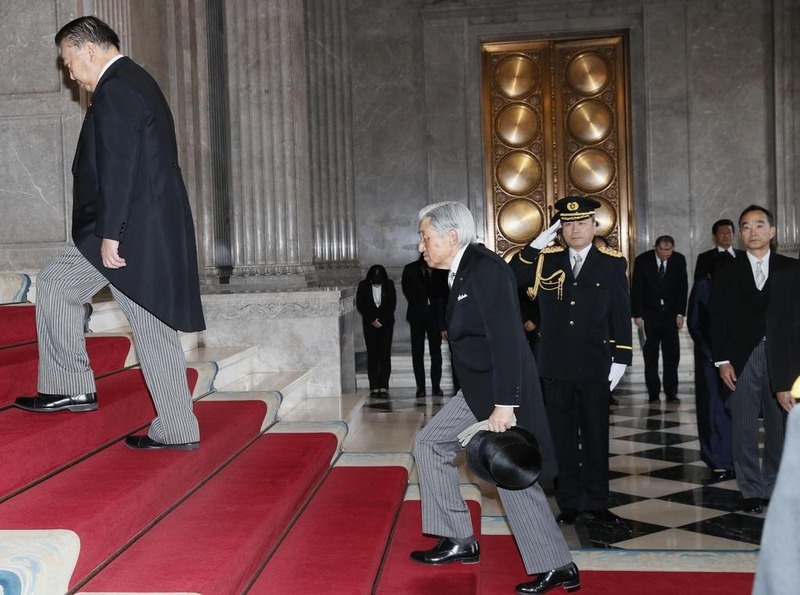 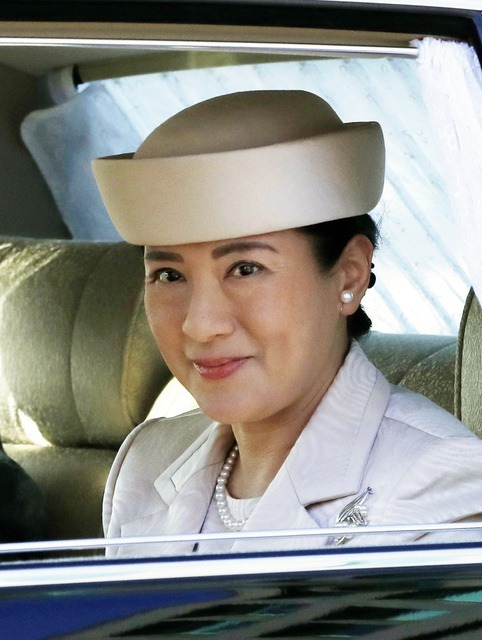 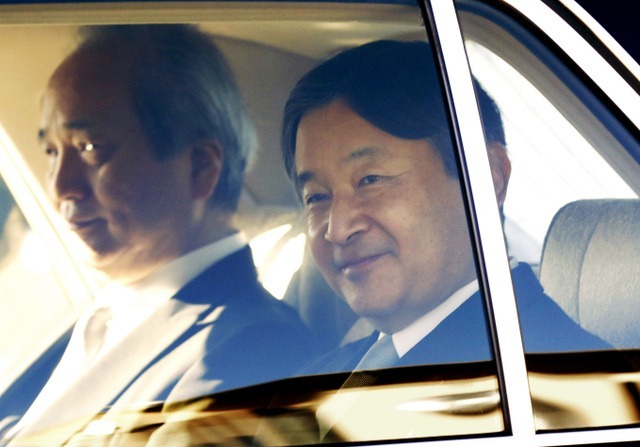 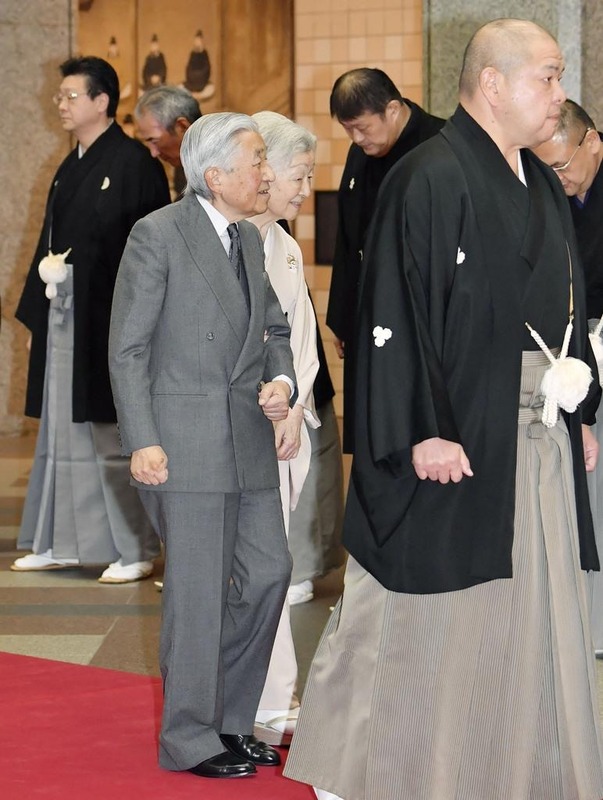 On that day, HIH Crown Prince Naruhito and HIH Crown Princess Masako attended the ritual for commemorating the 30th anniversary of the death of Emperor Showa at Imperial Palace Sanctuaries. 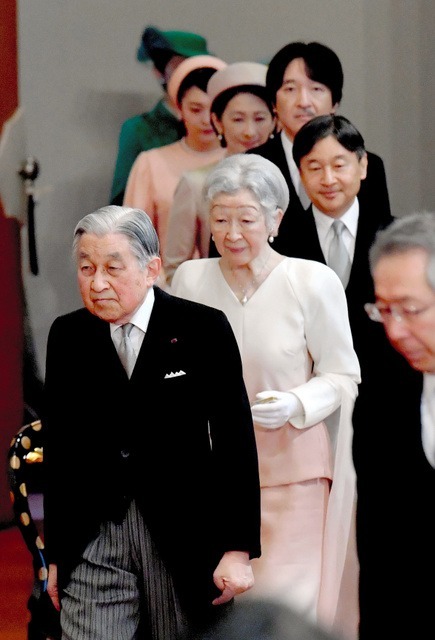 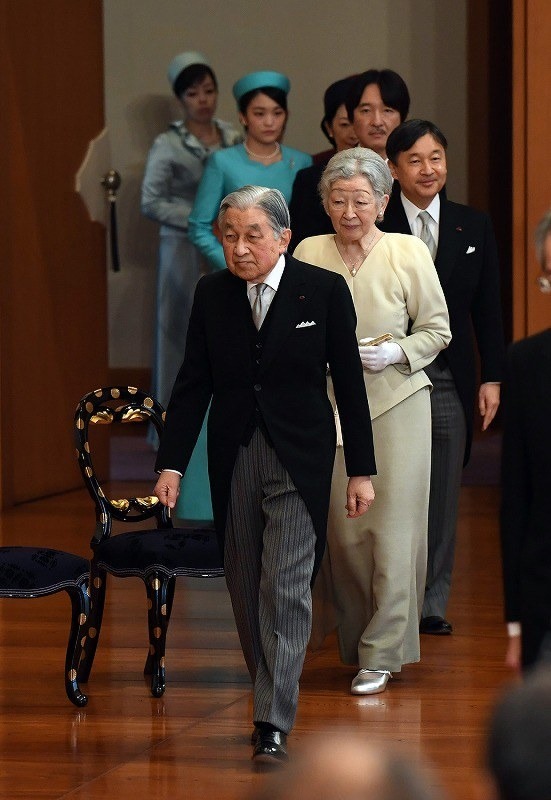 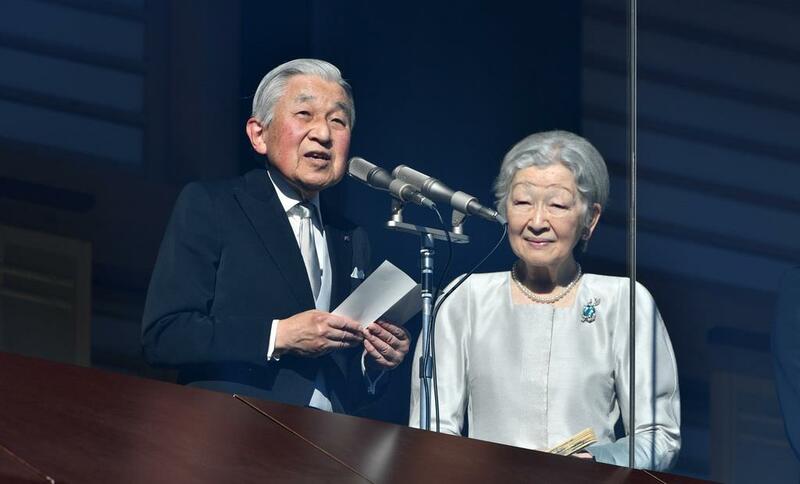 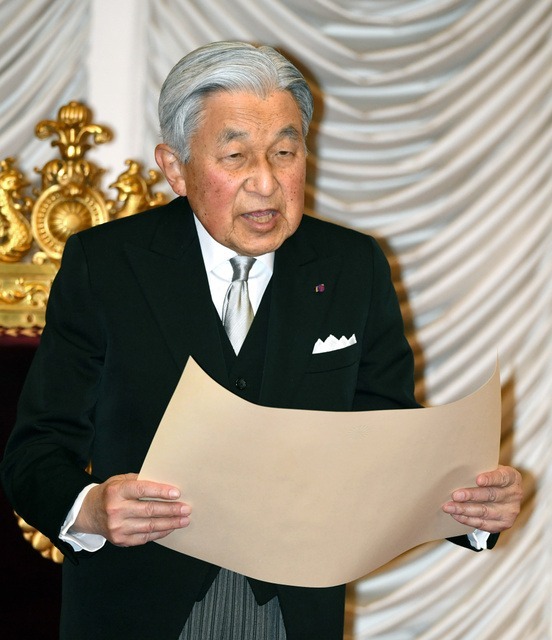 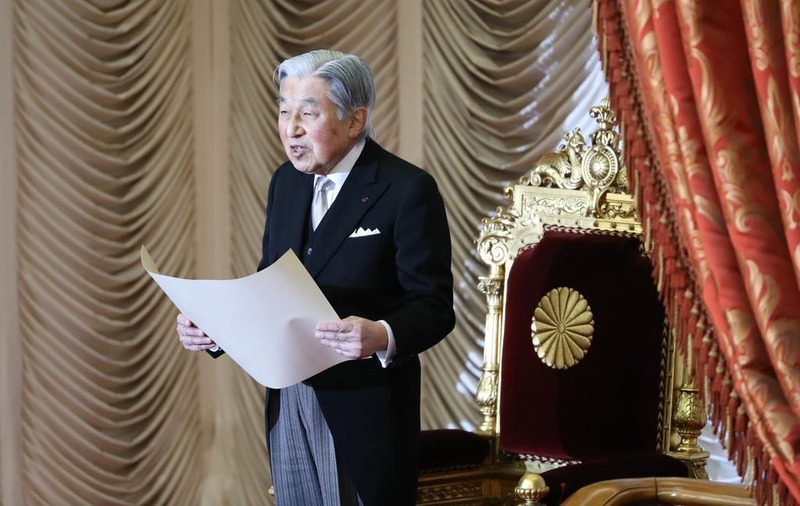 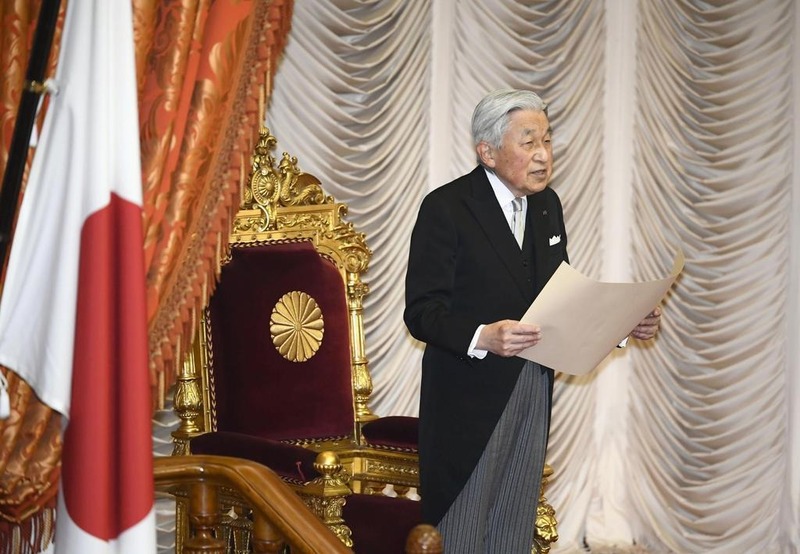 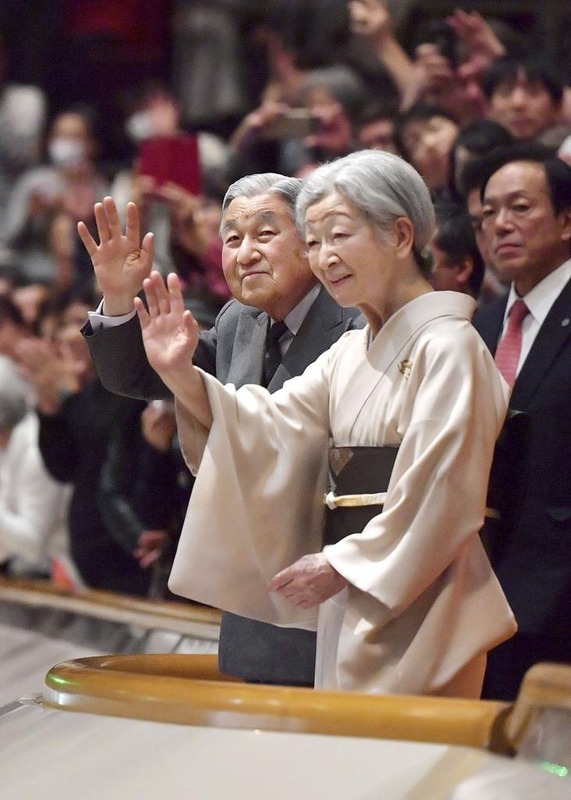 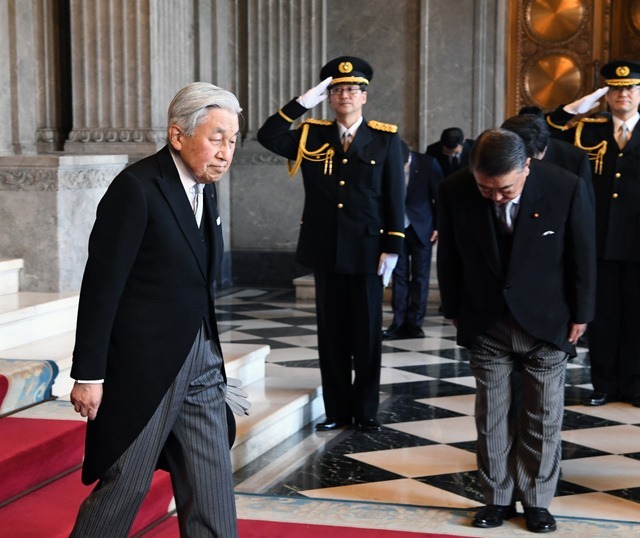 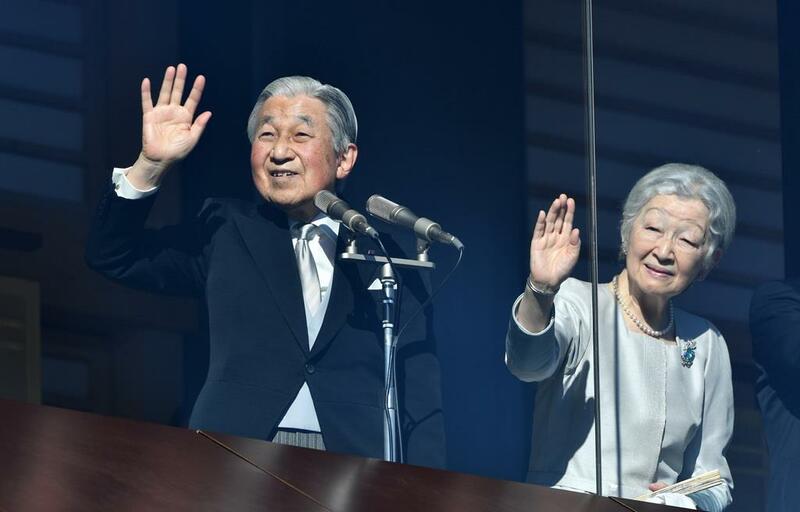 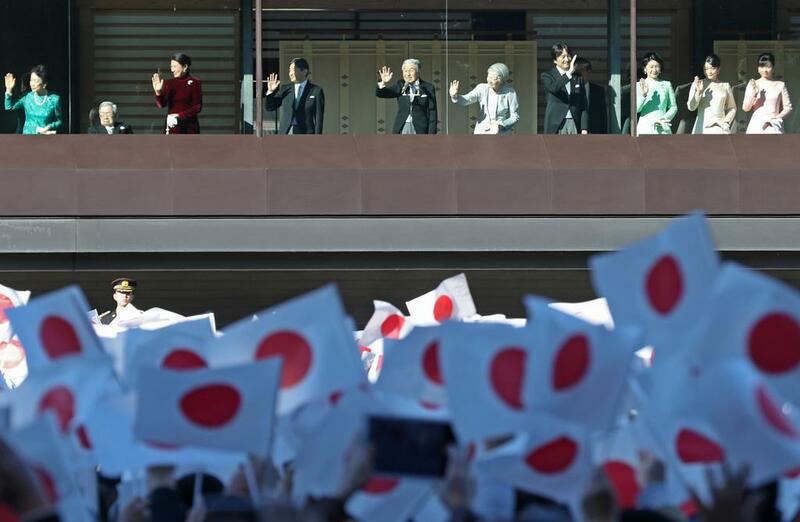 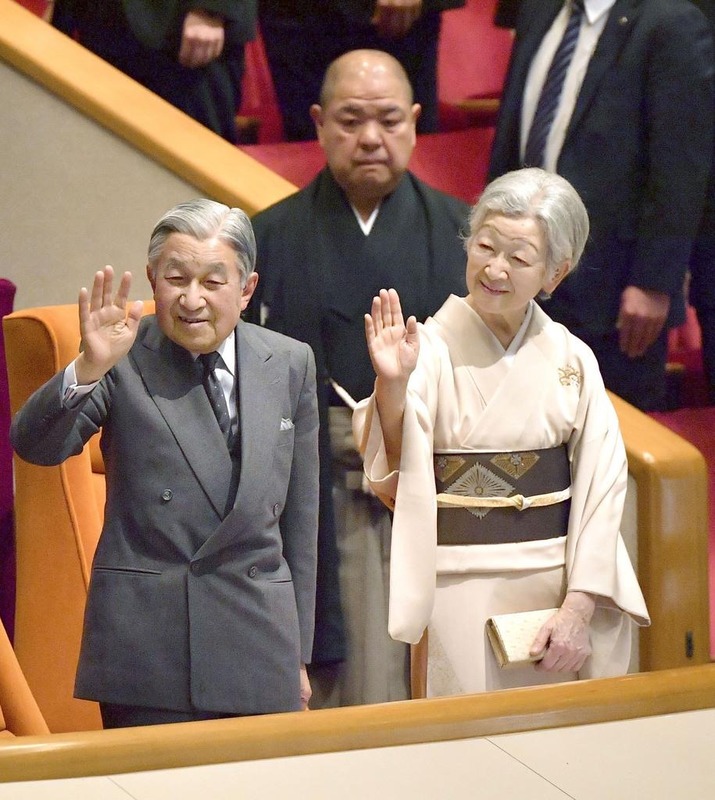 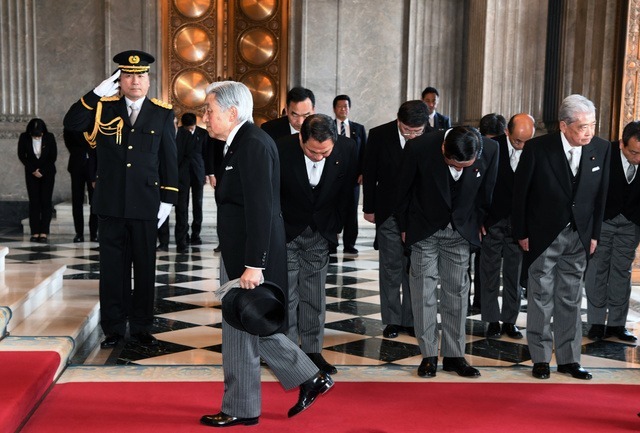 On 2nd January, HM Emperor Akihito and the other members of Imperial Family appeared 7 times at People’s Greeting of New Year at Imperial Palace. 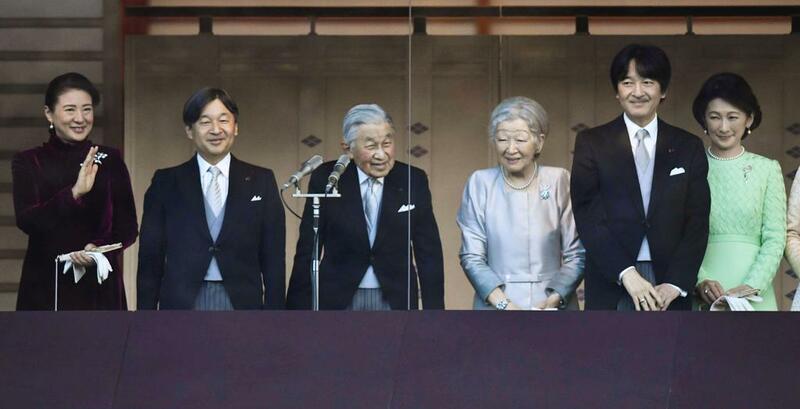 About 154,800 people gathered at Imperial Palace and it is the largest number of the visitors during the reign of HM Emperor Akihito (1989-). 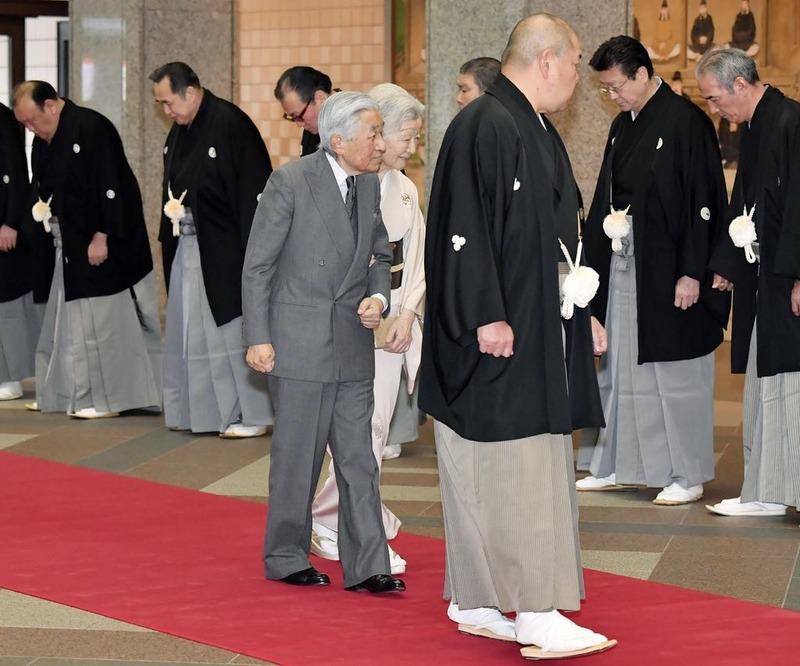 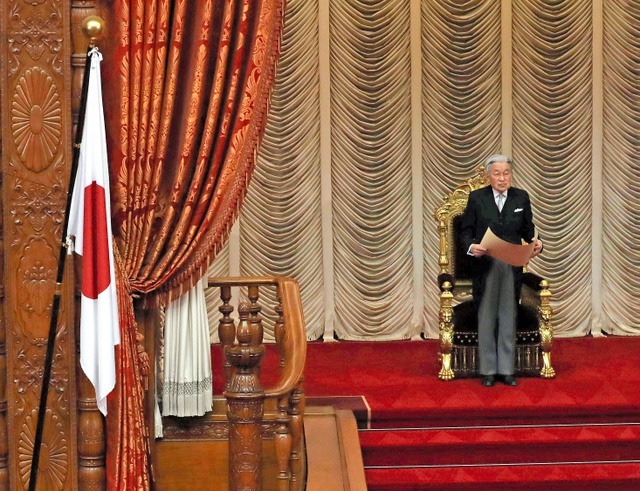 It became the last time for HM Emperor Akihito to attend the People’s Greeting before his abdication on 30th April. 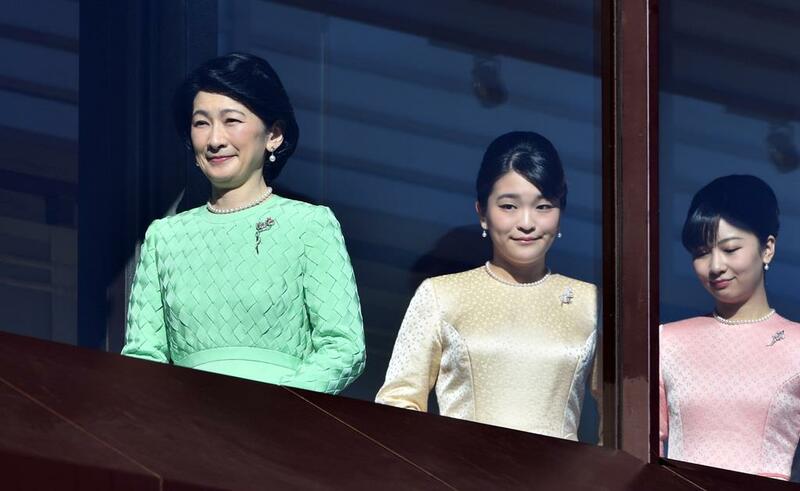 At the first appearance on that day, all adult members except HIH Princess Yoko of Mikasa appeared at the balcony of Imperial Palace.